Year after year the Exchange Program at EOS International continues to grow. 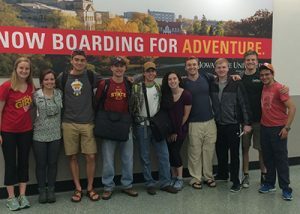 EOS has just wrapped up a month-long program where they hosted 16 students, facility, and alumni from Iowa State University’s College of Engineering. The students traveled to San Isidro, Nicaragua to design innovative and sustainable technologies. To support the program, EOS hired four Nicaraguan translators and assistant coordinators to translate and support the activities this year. 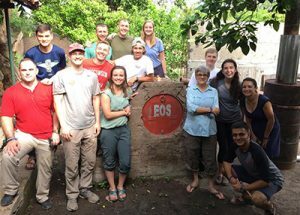 ISU students have been traveling down to Nicaragua for the past five years and have been engaging in the development of simple cost-effective technologies for rural farm families. Dr. Gloria Starns started the class at ISU three years ago. This course incorporates the Human-Centered Design methodology, where the students work closely with a community leader in a collaborative design effort to ensure that the final product is appropriate for its intended audience. Students are also trained on EOS technologies where they have the opportunity to install fuel-efficient brick ovens for a family wanting to make baked goods to sell for additional income to support the family. They are supported by an EOS technician, which guarantees the correct installation of the oven. Field Soil Test Kit – Through soil tests, farmers can learn what their soil composition looks like, and perhaps where it is depleted. Nicaragua has limited soil labs in the country forcing farmers to guess what needs to be added to their soil to improve the quality and often spending money on things that are not necessary for the soil. Rice Hull Cook Stove – Rice hulls are currently discarded as a waste product after the rice is processed. Deforestation is a big issue in Nicaragua as people continually cut down trees to be used for fire wood. 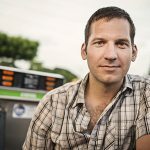 Designing a stove to burn rice hulls would have the potential to both reduce deforestation as well as reduce costs to cooking. Biochar Reactor – Biochar is an extremely effective fertilizer that can be made from locally-available biomas, but current reactor designs do not yield sufficient quantities. Designing a reactor with increased output could have a positive impact on small and medium farmers, allowing them to make their own biochar. 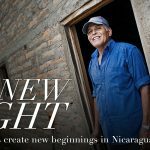 Concrete Block Maker – Bricks in Nicaragua are traditionally made of adobe mud, but concrete brick production has grown. Concrete brick making is currently only being made and sold by bigger companies, but with the design of a manual concrete brick maker similar to what the students designed, small entrepreneurs could start their own businesses. 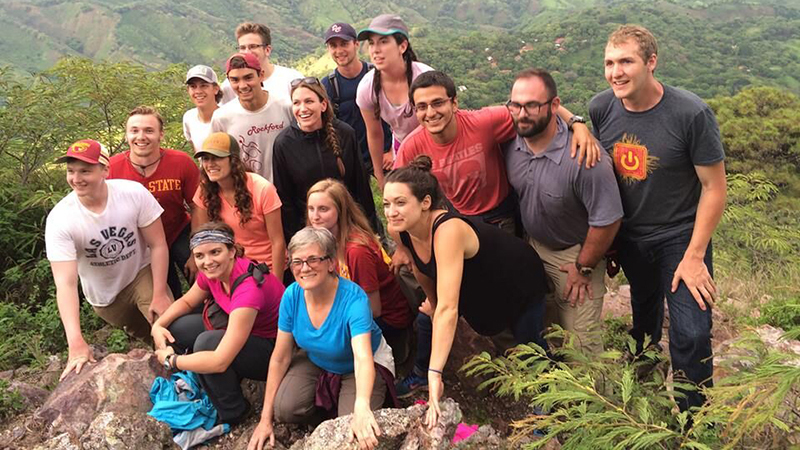 During their month in Nicaragua the ISU students experienced a unique exchange of culture and language. Each student lived with a host family in San Isidro. The families taught the students how to cook traditional foods. In addition, the students learned to wash laundry by hand, play street soccer, dance bachata, and take a siesta in a hammock. The students quickly learned that Nicaraguans like to celebrate with music and dancing almost every night. Recently, EOS has been working with several additional universities to offer this same experience to new students throughout the US. Providing this experience to students has always been core to the work of EOS, and we hope to continue sparking the minds of future change makes for many years to come. 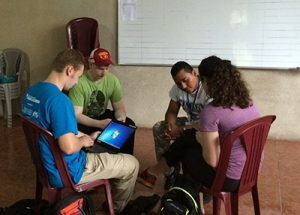 The exchange of knowledge, service, culture, and relationship enriched the lives of both the Nicaraguans and ISU students and created a bridge for future collaboration.